Manchester United manager, Jose Mourinho, has questioned whether his Manchester City counterpart, Pep Guardiola, should be allowed to wear a yellow ribbon on the touchline, in support of the Catalan politicians jailed in November over the region’s fight for independence. 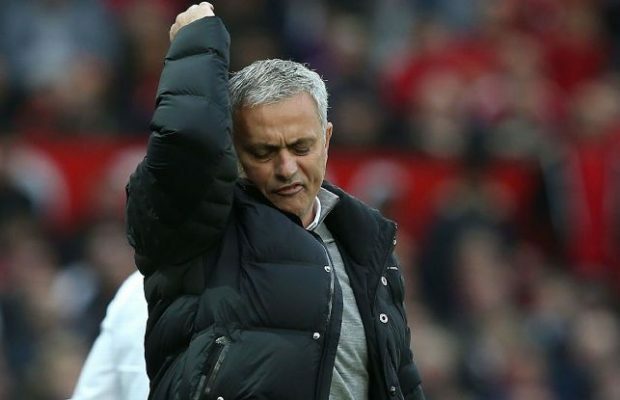 Ahead of Sunday’s Derby, Mourinho suggested that it was an open political message and claimed it would be more controversial if he wore the ribbon, rather than his rival. “I’ve known Pep for many years. I think I know what Pep feels about his country. To have it in football, I don’t know the rules. “If the rules allow us to do that, he is a free citizen to do it, but I am not sure if the rules allow any political message on the pitch. That’s just my doubt. I think I wouldn’t be allowed to, that’s just what I think,” he told a press conference on Friday. UEFA have actually changed their rules this season, meaning that only offensive messages are forbidden – a stance shared by England’s FA.